Ever since the referendum for Brexit took place on June 23rd, 2016, the headlines about the UK leaving the European Union has been dominating the news. However, none of them made the Brexit situation more clear. Now as the UK is closer to the prolonged deadline the new updates keep coming, but again it does not make the situation any clearer if anything, people are more confused. The uncertainty about Brexit is confounding even the robots. The situation between the UK and the EU made the Britsih pound very volatile. The currency rate became very sensitive to Brexit-related headlines. It made trading harder, especially considering that the Brtish Pound is one of the heavily traded currencies on the global currency market. The traders are not alone in the struggle, the increased number of headlines about Brexit makes it harder for news-reading robots as well. The Algos or news-reading algorithms are getting a more and more common feature of the trading floor of assets managers or banks. They are replacing humans that increases the rate of which deals are executed significantly. Some of them can even reduce the time down to millionths of a second. Traditionally, the main purpose of these algorithms was to process the data that can influence the currency movements, such as central bank policy statements or economic data. It was done before executing a buy or sell order. However, as the digital world has evolved, the algorithms have developed as well and now many of the computer trading models are analyzing news headlines or Twitter storms in less than a second. The news-reading algos are powerful in processing the data but how many of them can be found on the Forex market today? There is no official data about the number of algos but the currency traders estimate it to be less than 10 percent. The existing algos are being inundated with the Brexit headlines and there are too many of them produced for computers to keep up. As reported by the news outlet, there have been 400 news headlines on Brexit published in one day, in recent weeks. This is a dramatic increase in the news regarding politics in the UK. Previously when Brexit was not an issue the average headlines published on the British politics were 15. 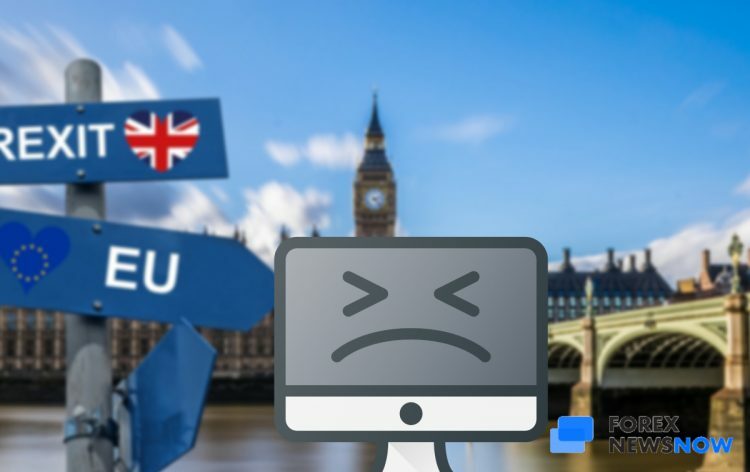 Now the amount of the news is increased by the UK-based Forex brokers and headquarters of the financial institutes making announcements about their post-Brexit plans. The news-reading algorithms cannot process the information and keep up with the headlines around the UK leaving the EU. Hence trading GBP is getting more risky and expensive. With the Brexit coming closer and the chance that the UK will have a hard Brexit has resulted in an increase of GBP volatility sensitivity and hand signal only can cause the currency to move. On 16th November 2018 Britain’s Brexit Minster at that time, Dominic Raab gave a thumb up after a cabinet meeting. And this simple hand move had caused GBP to surge. Given this situation, it is not surprising that even trading robots are finding the Brexit issue difficult to process and overwhelming.